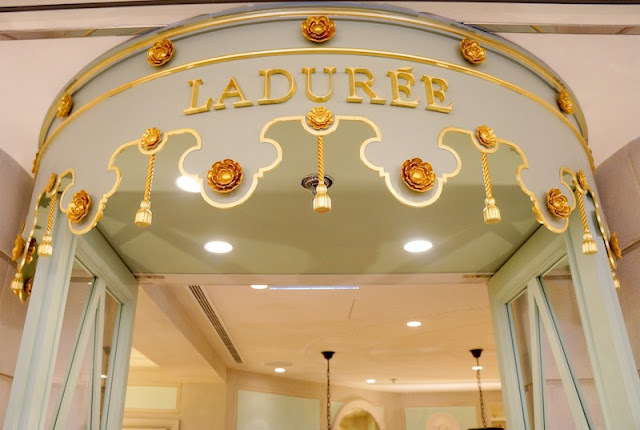 A love affair with Ladurée. Madness long queue outside the shop, Huannie and I waited almost an hour to actually get inside to queue again. 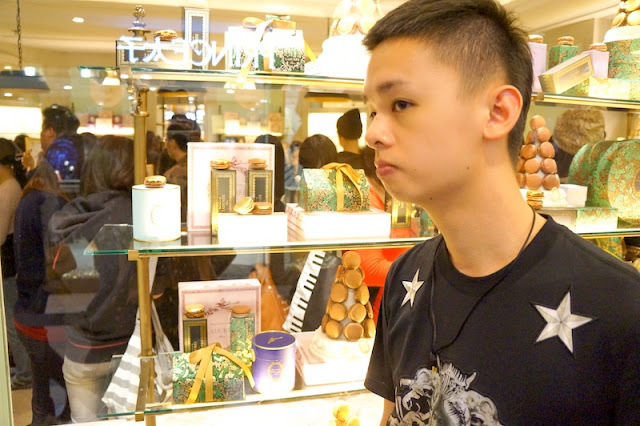 His helpless expression why girls can queue for macarons. It's pretty understandable for him because he queued for limited shoes as well, lol. 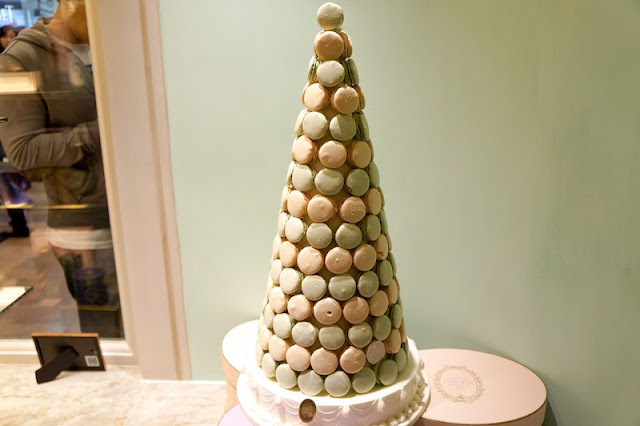 As far as the sweet world went, macarons have gained a new level of fame while all kinds of French patisserie blooming all over the world. 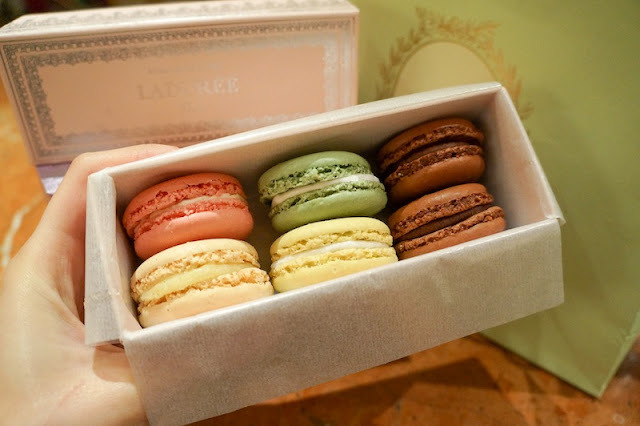 Their pastel colours with unique flavors ranging from marshmallow strawberry candy to pistachio are irresistible to girls, and even guys. 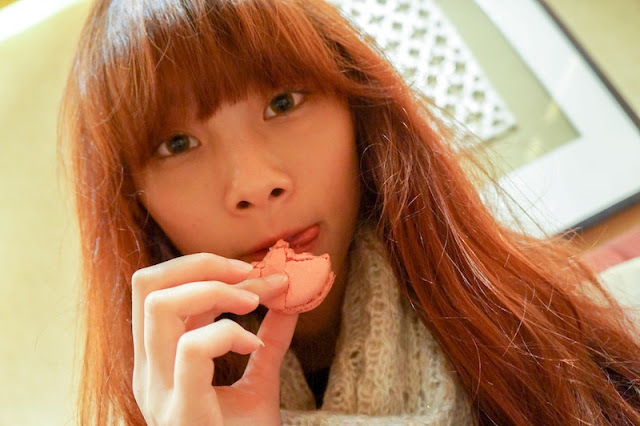 Even though i've few friends who don't take sweet stuff, they would still buy macarons just because of the packaging. Packaging ftw! 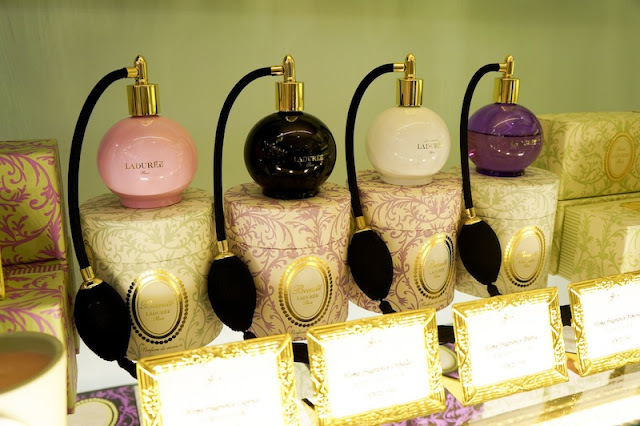 They even have Ladurée perfumes and bags. 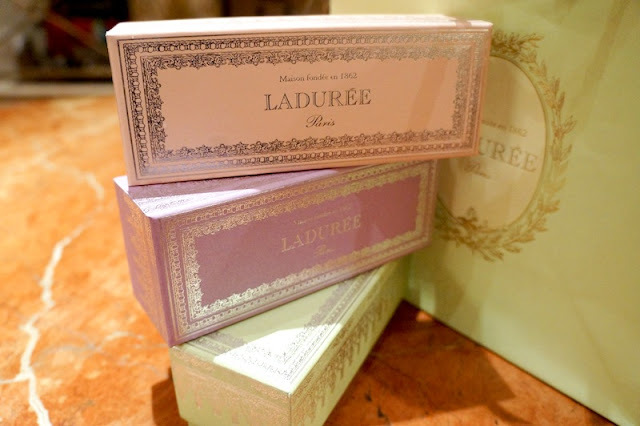 Taadaa, bought 3 boxes with mixture of flavors. 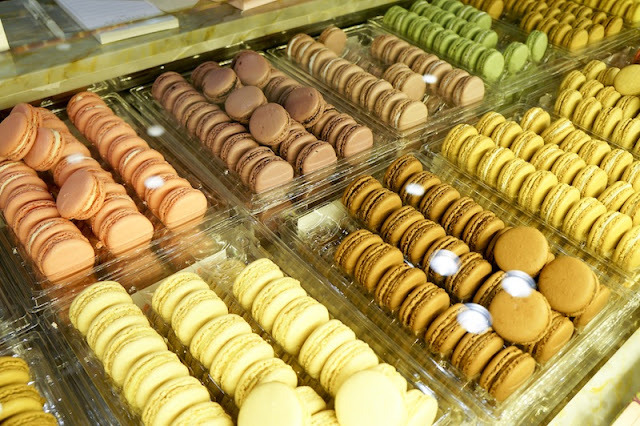 Pistachio is my favourite and also their best selling falvour. 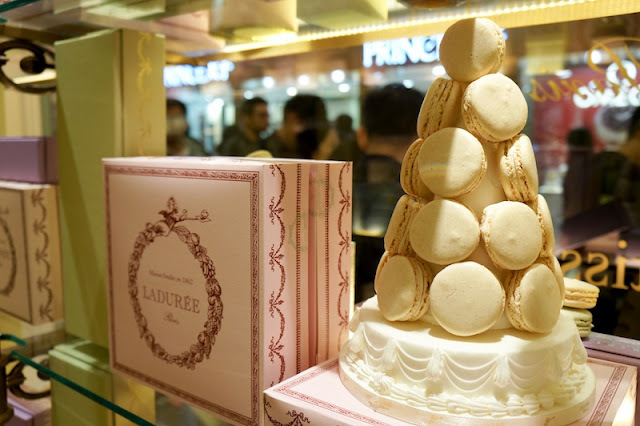 Do try them when you're in HongKong or Paris. 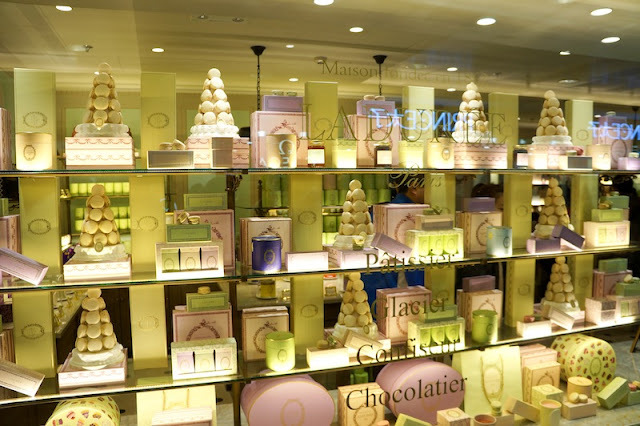 As i know, Singapore will have Ladurée store open in April. At least it is only few hours drive away, which we can easily visit and satisfy our craves! One sleep away to my graduation trip. I will keep the destination a secret, so keep stalking my Instagram.